Knowing when to end a conversation is a skill that cannot only save you face in front of your friends, it can save a relationship from potentially troubled waters. Ending a conversation doesn't have to be awkward if you are prepared beforehand. Whether you are chatting it up with an audience, a friend or a significant other, conversations can grow stale as you gradually run out of things to say. Knowing when to end a conversation can help you avoid boring someone or trying their patience. It can also provide you with access to getting in touch with people again. Most people focus on how to start a conversation, finding those opening lines to be a challenge. However, you can give your conversational skills a real boost if you know that conversations do end and it's better to do it graciously rather than wait for someone to get frustrated with you. This quick tip guide focuses on the signs to look for and the times when you should be prepared to end a conversation. Monosyllabic Answers - Everyone has an opinion, but if you have been going on for a while and the person you are talking to is issuing one-word answers or worse, just grunting, it may be time to end the topic or the conversation altogether. Emotional Cues - Don't be oblivious to the emotional cues given off by the person you are talking to. If their eyes are narrowed, their lips pursed, their faces red and irritation is obvious, it's a good time to let the conversation go before it goes too far. Physical Cues - When people aren't listening to you anymore, you can usually tell. Their eyes wander, they are reading old text messages on their phones, their foot bounces with impatience; these are all indicators that it's time to end the conversation. Yawning is often mistaken for boredom, but not always. If the yawning is coupled with a lack of eye contact and restless physical motions, then it does fall into the category of time to end the conversation. Ending a conversation is not hard, but it can feel that way. When it's time to end a conversation, it may feel rude or awkward, but it doesn't have to. Always try to end a conversation on a positive note. For example, if you're on the phone and you've been getting the monosyllabic answers, simply say, "It was great chatting, give me a call later?" That not only puts the ball in your friend's court, but it also gives them a gracious exit from the conversation. What if you've run out of things to say or feel like you have? Then end your current topic of conversation and use the question-and-answer method to get the conversation going again. By asking questions, you are handing over the reins of the conversation to someone else. This may end the conversation altogether or allow it to venture into new and exciting territory. If you absolutely want the conversation to end, a simple, "I have to get going. Thanks for the chat," can't be misconstrued as an attempt at merely changing the subject. It leaves no question about your desire or need to end the conversation, but ends it on a positive note. 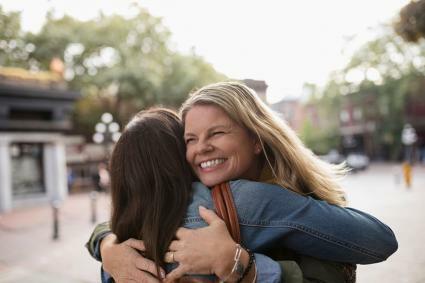 If you're speaking with someone close to you and you're having a conversation in person, "Here, give me a hug" followed by a warm embrace can be a nice conclusion to the conversation. While in the hug, saying something along the lines of, "It was so great to see you today!" or "Let's do this again soon!" further indicates the conclusion of the conversation. "When can we do this again?" is a great way to conclude a face-to-face conversation. "This conversation was great, when can we talk again?" works well for texting or phone conversations too. Don't use this if you don't truly ever want to talk to this person again because it alludes to future interactions. If your conversation leads to an epiphany on your part that you're finished with the other person for good, being blatant in your conclusion will leave no question as to your future intentions. "I've said all I've wanted to say and I have nothing more to tell you. I wish you the best, but please don't contact me again" can help a volatile friend or toxic relative understand that the end of the conversation also indicated the end of the relationship. If someone has to go abruptly due to a real emergency, you can say "Got to run, it's an emergency. Talk later." It's short and to the point and you're done. Don't use this unless it's a real emergency because lying to get off the phone or out of a conversation can sometimes come back to bite you. Silence is not the enemy. If you are out and you're both quiet -but you're both comfortable- that's okay. You do not have to fill up every empty moment with pithy conversation. Don't be afraid to end a conversation either. Sometimes, particularly if you have wanted to talk to a person for a really long time, ending the conversation may scare you, but the beauty of an ended conversation is that you have an excuse to get in touch with him or her again.